As writers we sometimes wish for the secret sauce—that ingredient that will make our careers, our writing, our books, different from the rest, memorable, popular. And while there is no way to know all the answers, the best part of being a member of the writing community is that writers are generous souls. We share. We want everyone else to work hard but we don’t want anyone to suffer needlessly. And that’s where Carolyn Turgeon steps in! Today she shares her own novel-writing mistakes with the Women’s Fiction Writers community so that we can think, change course, even swerve to get out of their way on our own journey. I happened upon Carolyn’s novel GODMOTHER years ago and fell in love with it. Told everyone I knew about it. It remains one of my favorite books. I know many of my friends read it and it ended up a book club selection for several area book clubs! Perhaps that was the real precursor to this blog and sharing my love of books and authors. Now Carolyn is celebrating the publication of her FIFTH novel, THE FAIREST OF THEM ALL, which is perched at the top of the TBR pile on my nightstand. 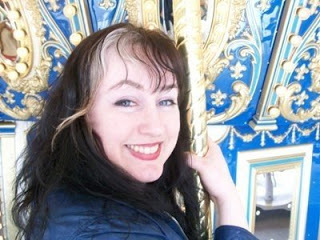 Please welcome Carolyn Turgeon to Women’s Fiction Writers! My latest novel. The Fairest of Them All (the story of how Rapunzel grew up to become Snow White’s stepmother), came out August 6th from Simon & Schuster. The whole process was fairly quick, for a novel: I sold the book in November 2011 with one chapter and a synopsis, I turned in a first draft in May 2012, my editor responded and I went back to do extensive revisions, and the whole thing was wrapped up by November or so. The process was not without pain and trauma (it was writing, after all!) but it went fairly smoothly, as these things go. Fairest is my fifth novel. I wish I could say that I’ve always written in an efficient and semi-timely manner, but that would be far from the truth. My first novel took ten years to write, off and on, and I made all kinds of mistakes. Really, I did everything wrong. But I have managed to narrow all that wrong-ness down into the following list, which I hope might serve some purpose for those looking to avoid such a tragic fate. I really thought that writing a novel was impossible. It seemed like such a momentous and magical task to me that I didn’t actually think I could do it, and so I didn’t act the way someone would act if they thought that completing a novel was just a matter of sitting down and doing it, line by line, day by day. Which it is. I didn’t join a workshop or take a class or do any of those things. I was confident in my writing and didn’t think I needed it, for one (which was wrong), but I also didn’t realize how important it is to be part of a community of writers, and to have other people in the world have a stake in your writing, and you in theirs. It is. I thought I had to write my book in order. I don’t know why I thought that, but I did. So if I got stuck somewhere and wasn’t sure what to do next, I just didn’t write again for months and months. And months. It didn’t help that I hadn’t made any space for a novel in my life. Mental space, that is. I started my first novel in college (or at least I wrote an incomplete short story that I knew needed to be some kind of novel) and set it aside, and then I went off to a PhD program in Comparative Literature thinking I’d write my novel in my spare time. But the PhD work was all-consuming, it’s what I thought about in the shower and during walks, etc., and those are the spaces you need for your novel. I did, at least. Eventually, three years in, I realized I’d never write a novel if I continued on my current path and I left school and got a regular job. Another reason I kept getting stuck was because I didn’t know what I was writing. I had some characters I loved, a setting and a mood, bits of stories and images, pretty language… but a novel? You really need a big story, and some conflict, and some motivations that will make this gorgeous thing called an arc that will carry your reader—breathlessly, you hope—to some kind of satisfying end. I didn’t have those things. Now I know to figure out the story first (while leaving plenty of room for improvising) and to write with blueprint in hand. I also didn’t write in scene. It was only after I finished a draft and got a top agent and started getting rejections that called my book “too quiet” that I realized that something was wrong. To concentrate on book two (which was really hard with book one circulating with editors), I actually joined a workshop in NYC with author Jennifer Belle, who pointed out almost immediately that I didn’t write in scenes. I had long, long pretty passages in summary, but no moment-by-moment you-feel-like-you’re-right-there set-in-a-specific-time-and-place scenes. The minute I broke everything down into moments, my writing came alive in a way it never had before. I ended taking my first book back from my agent and redoing it from beginning to end. I guess the one thing I did have going for me was the crazy faith and bull-headedness to actually keep coming back to that book, over those long ten years, and then to rewrite it from beginning to end when I realized I could make it better and more alive. I’ve watched a whole lot of writers not get very far because they don’t have that faith and tenacity, which is, when it comes down to it, more important than anything. Without it, I’d have a bunch of scattered pretty pages and a whole lot of potential, like so many other aspiring writers do. What I think now is: nurture that faith however you can. Trick yourself into having it, if you must. Do whatever it takes to get yourself to sit in that chair. Think of your novel as a series of moments, and tackle them one by one. So please do not make these mistakes. I know there are plenty of other mistakes you can make, and I would advise you not to make those, either. You’re welcome. Carolyn Turgeon is the author of Rain Village, Godmother: The Secret Cinderella Story, Mermaid: A Twist on the Classic Tale, and the young adult novel The Next Full Moon. She is the editor of Mermaids, a special-edition annual magazine, and teaches writing in the low-residency MFA program at the University of Alaska at Anchorage. Find out more at CarolynTurgeon.com and IAmaMermaid.com. « Author Renee Swindle Says Discover What You're Good At Writing, And Write It! Since I still think novel writing is impossible this is a great help! Congrats on your wild success. I still kind of think it’s impossible, when starting a new project — I always have to remind myself to take it page by page…!! Fun post, Amy! Carolyn, if only we could distill all that we learn, hang onto it, and go back for a do-over, the writing life would be so much easier, wouldn’t it? I’ve probably made most if not all of those mistakes, plus a zillion of my own creation. We certainly need perseverance to press forward and dust the mistakes off, turning them into learning moments. Great advice, Carolyn! I love modern fairy tales and am looking forward to reading your newest one! Wow, Carolyn! I’ve been writing fiction for a long time, and this is absolutely one of the most useful advice columns on the topic of writing novels that I’ve ever stumbled upon (thank you, Amy!). I especially love the “moment by moment” and writing “in scene” advice. Great stuff! I’m going to clip this one out and put it in my writing journal as I forge ahead with my new novel. Oh, I am so glad, Holly! =) Thank you! Thank you for taking time to share this! Tenacity, that is something that makes such a difference. It’s like while drowning, you don’t quit, you keep moving, floating, going down to coming out again and again, watching the shore from the distance and focusing to get there. You’re welcome, Rodica, and I agree completely! 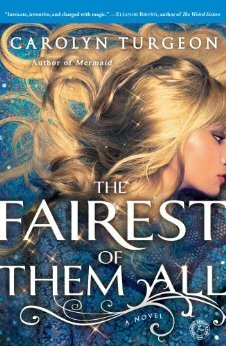 First, congratulations on your book The Fairest of Them All. Thank you for being so generous in sharing your writing mistakes. I find that whenever I’m stuck on a scene I tell myself that the solution is going to come sooner or later. And it always does. Having faith, as you point out, is of utmost importance to a writer. Without it it would be easy to give up. GREAT list. Thank you! I relate to #5–I began a novel with no plan, no outline. Many drafts later, have “found” the story. BTW I just copied the link–Reading this post is going to be my first assignment at my creative writing workshop that starts in September. Great post! It’s so great to get advice from published authors. Glad to hear your 1St novel took 10 years! I started mine 6 years ago, but tenacity is required to finish it; thanks and congrats on your new book! Number 5 and Number 6 … they are my downfalls. A blueprint I can develop … but I LIKE my pretty passages, oh how I like my pretty passages 🙂 I definitely need to learn to write in scene … workshop, here I come!